My mother was a fantastic gardener and had a beautiful and very original garden that people always came out of the way to visit when in Andalucia. Her best friend was legendary British gardener and landscape designer Russell Page who came to stay with us often while he researched mediterranean flora for his clients and I always remember them absorbed in their ‎own world , clambering under barbed wire fences in the middle of cattle fields, stopping on the sides of the roads to dig out a wild iris, or down a ravine to pick some samples of a rare bee-eating orchid. My mother and Russell could talk for hours about the right dosage of pigeon dung fertilizer or how to handle a pale pink tree dahlia which had gotten too tall. 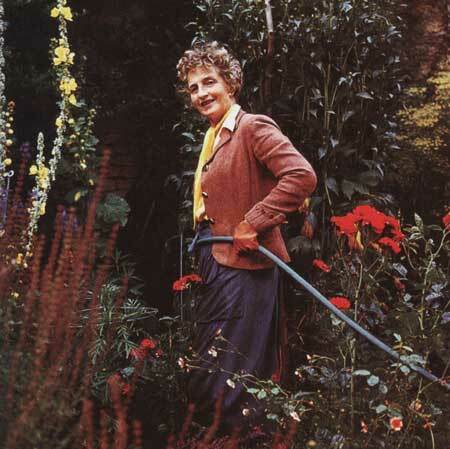 Valerie Finnis, who has died aged 81, was one of the great ladies of gardening, renowned as a plantswoman and flower photographer, and as a unique character in her world. 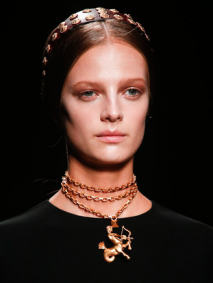 She knew everyone in it and revelled in its gossip, dramas, and talk littered with titles – she had one herself, by marriage but always used her maiden name. Plants were her first passion. An early memory was of a garden with drifts of gentians she saw when she was three. 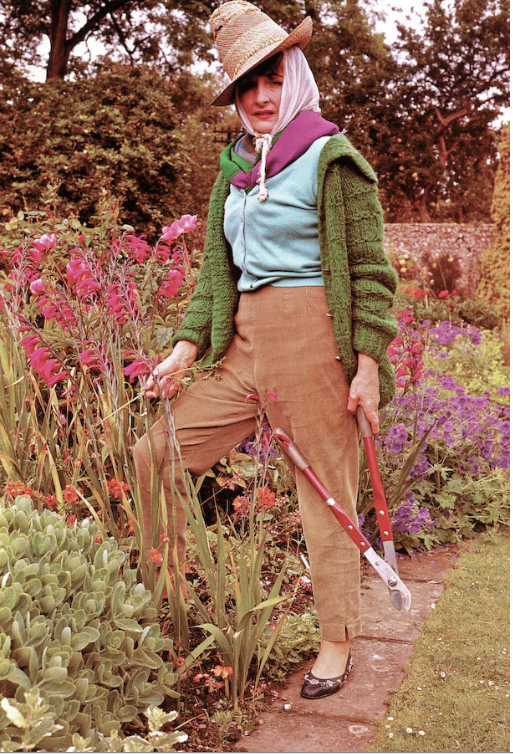 In 1975 the Royal Horticultural Society awarded her its greatest distinction, the Victoria Medal of Honour, for her many-faceted contribution to horticulture. 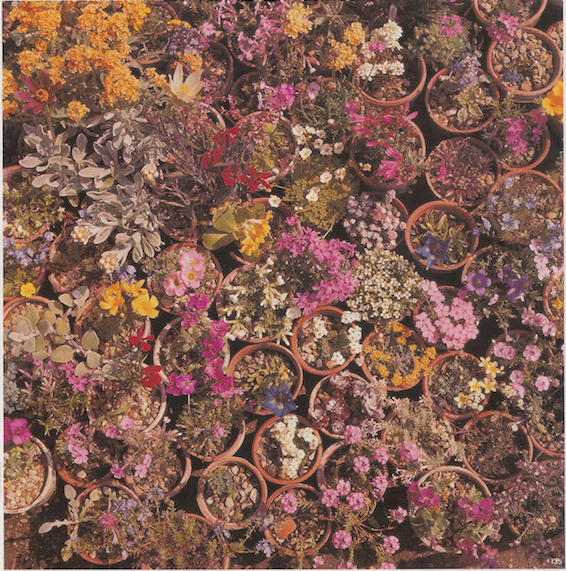 “For me it used to be plants before people,” she told me when we met. But after her marriage to Sir David Scott when she was 46, she said, she came to see that “it’s really only people that matter”. Her life was crammed with contacts, which she used tirelessly to make a difference to many other lives. 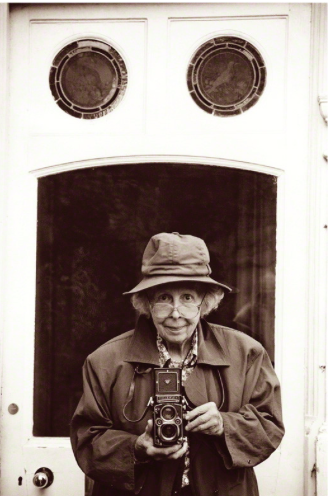 To boost her income to support her invalid father, Finnis developed more accomplishments: as a lecturer and broadcaster, a member of several Royal Horticultural Society committees, and one of the first women photographers of plants. 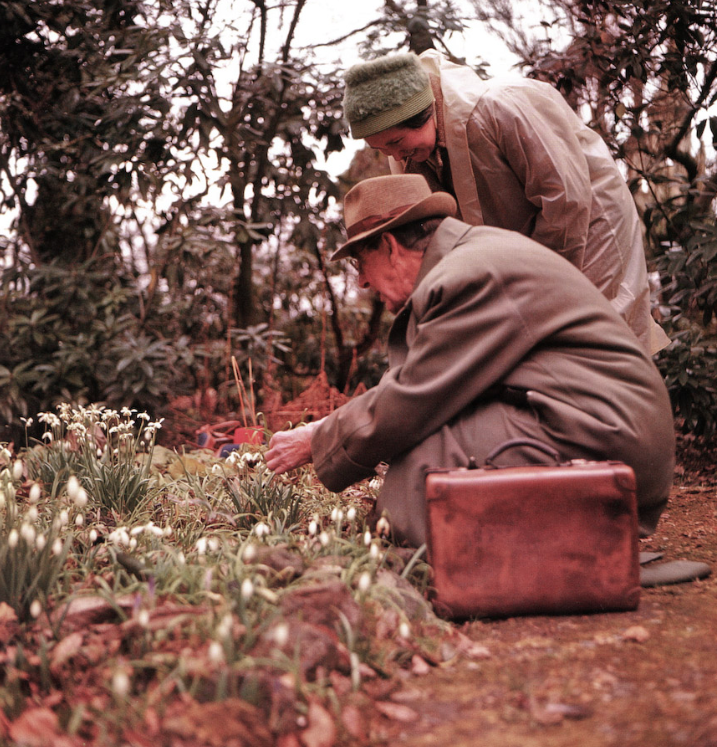 With an old Rolleiflex, the gift of Wilhelm Schacht, curator of Munich’s botanic garden, she built up a library of 50,000 transparencies of plant portraits, and some of such gardeners as Margery Fish, David Shackleton and Vita Sackville-West. Finnis never lost her excitement in response to life, a quality that propelled her towards the man she would marry. Immured in her potting shed at Waterperry one day in 1968, she heard a voice outside remark: “Goodness, she’s got Gillenia trifoliata!” Thrilled, Finnis rushed out. “You’re the first person who’s ever known that plant!” she exclaimed to the speaker. Both their lives changed in that moment. David Scott was a retired diplomat who with his late wife, Dorothy, had spent 40 years growing trees and rare shrubs in two acres of parkland beside the dower house of Boughton House, the Northamptonshire seat of the Dukes of Buccleuch. He was a grandson of the fifth Duke and had grown up there. To this beautiful place came Finnis and her alpines. “We just gardened,” she said, when asked about their marriage. 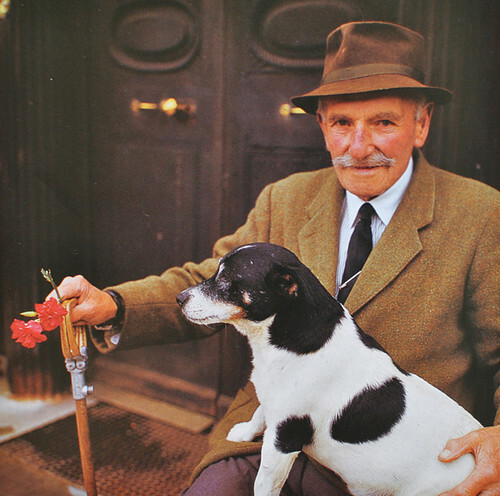 Its 16 years of great happiness ended when David died in 1986, aged 99. It was Finnis’s love for plants that helped her recover from her grief. 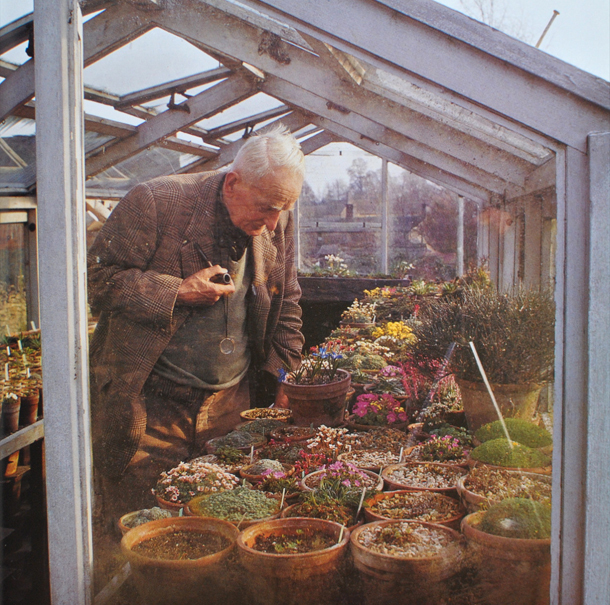 David’s only child, Merlin, a gifted naturalist, was killed in the second world war at 22. A friend suggested Valerie do something for young people in his memory. 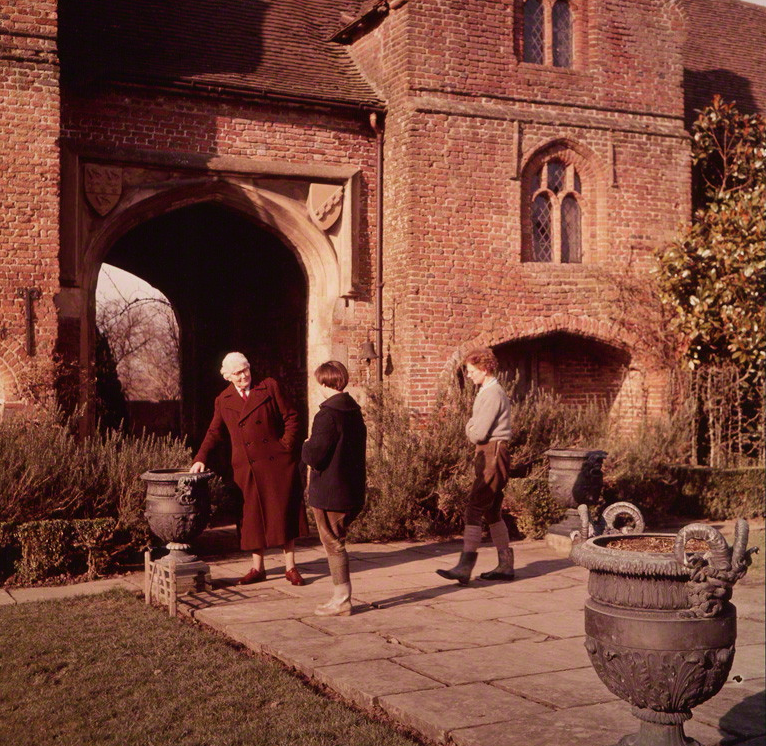 From this seed grew the Merlin Trust, a fund she set up in 1990 to help young men and women with grants for horticultural travel and research projects. Since then, the Trust has helped almost 500 young gardeners. 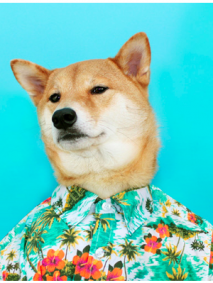 Valerie was a style icon for her generation. 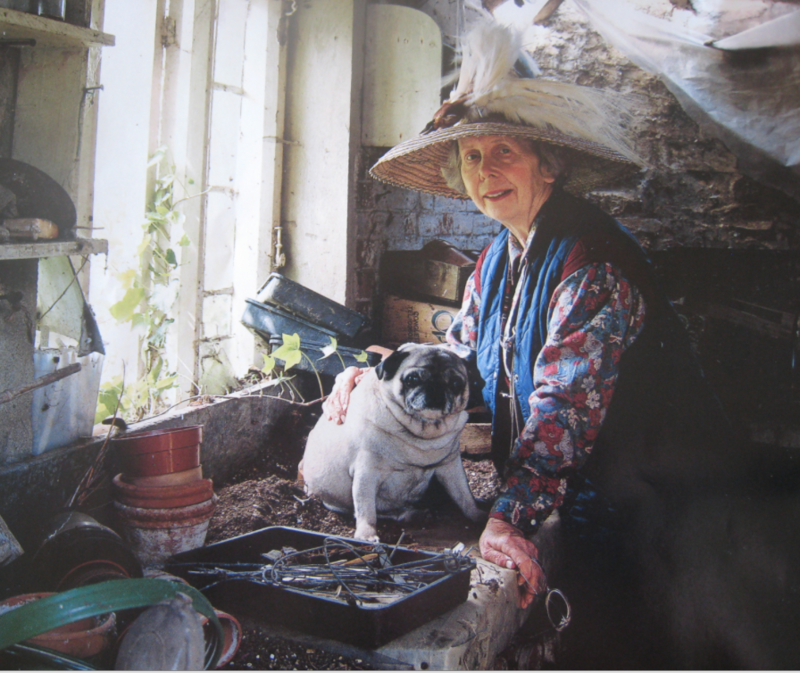 While gardening she loved to wear big, decorated hats and was usually dressed in a Liberty print blouse and a string of pearls, adding a touch of glamour to the potting shed. Her photographer’s eye meant she was able to be inspirationally stylish at both house and dress. She also had a knack of getting the best out of her subjects and her pictures never looked staged. 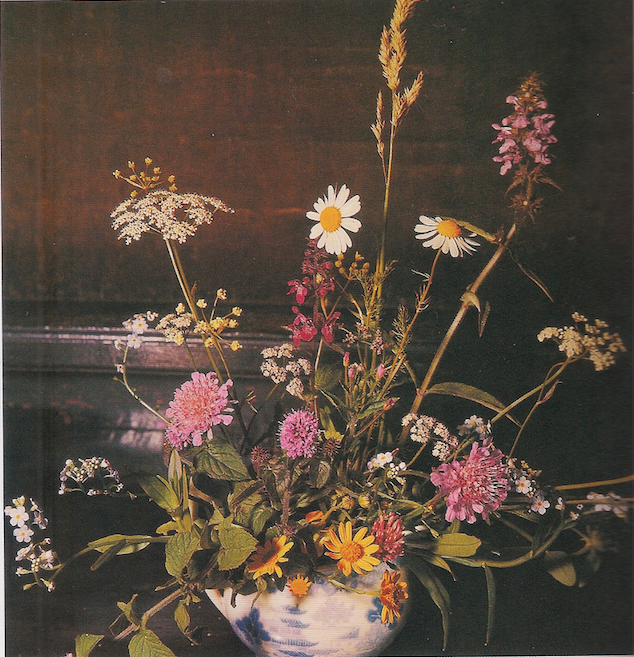 Valerie also took many dramatic still-lives of bouquets , close-ups of flowers and surreal vegetable and fruit arrangements for calendars, but unfortunately I cannot find any images online for now. 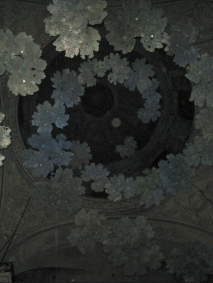 I have included 2 mediocre scans at the bottom of my post. 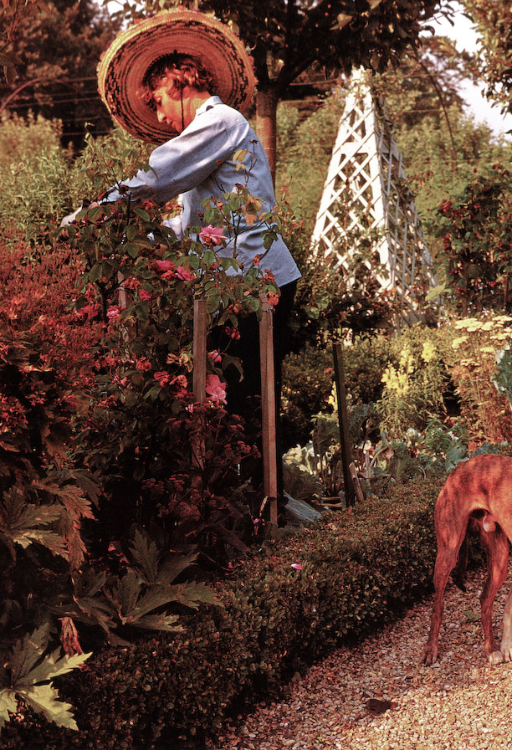 Above a Valerie Finnis photo of Nancy Lancaster wearing a totally unsuitable but dramatic garden hat. 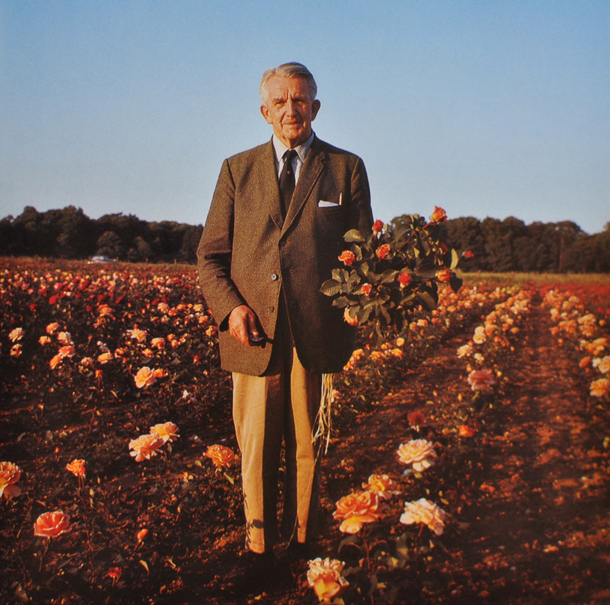 John Mattock , a famous Oxfordshire rose nurseryman , standing among his field -grown roses with a freshly cut bouquet. Note the raffia dangling from his jacket ready for use. Photograph Valerie Finnis . Nancy Landcaster by Valerie Finnis. Above is Rhoda, Lady Birley, with a beautiful ( and unpractical ) scarf and dainty indoor shoes , looking so chic with her giant shears. Valerie had a weakness for outrageous hat,both wearing them herself and photographing others in them. Photograph Valerie Finnis . 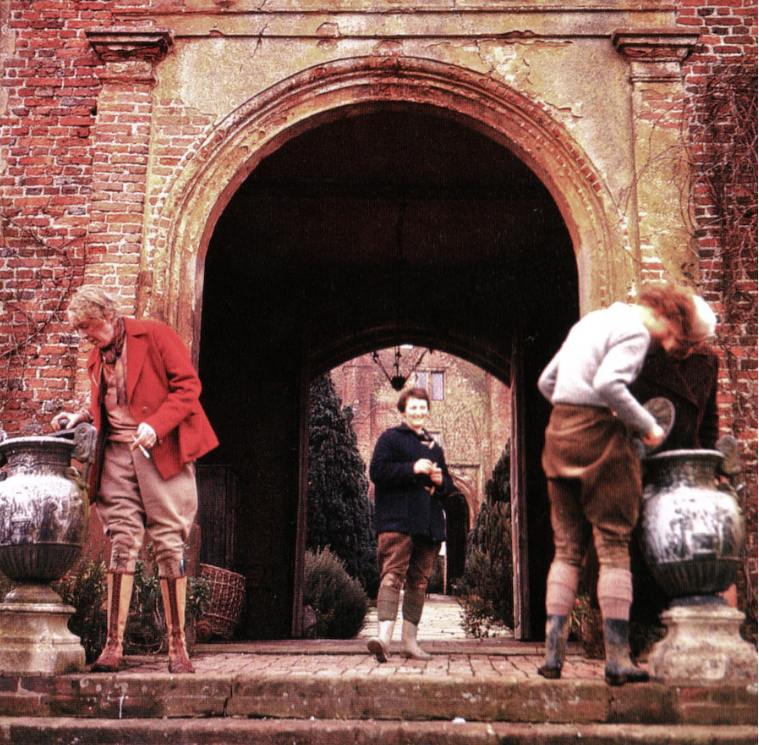 Vita Sackville-West ( left ) in her garden at Sissinghurst Castle (wearing a selection of clothes not fit for the garden and very uncomfortable knee- high lace up boots ). Photograph Valerie Finnis . 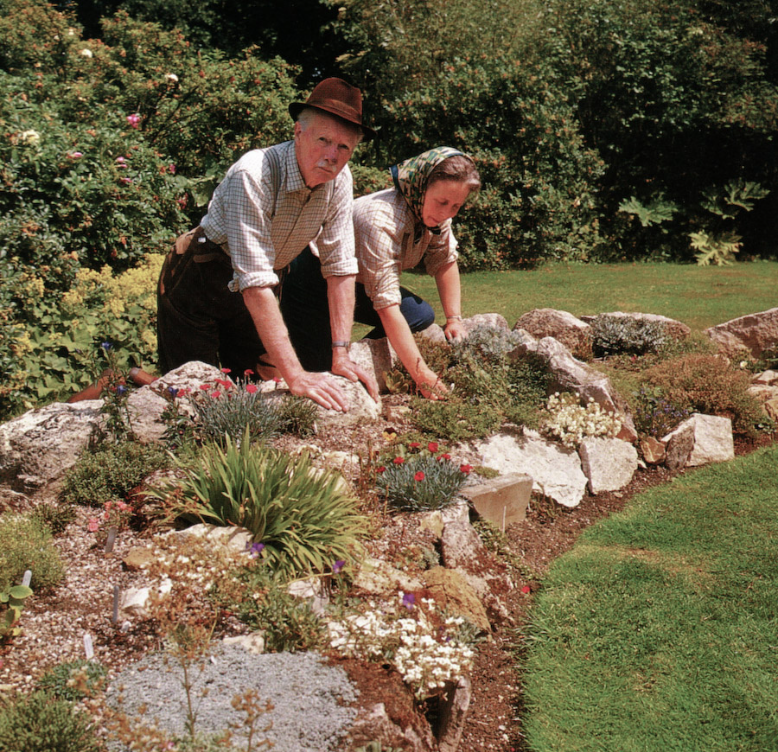 Valerie Finnis works in the garden with her husband, Sir David Scott. Finnis fell for Scott because he was the first person she’d ever met who recognized Gillenia Trifoliata. This picture was taken on their wedding day , one hour after they got married they were outside in the ground weeding. 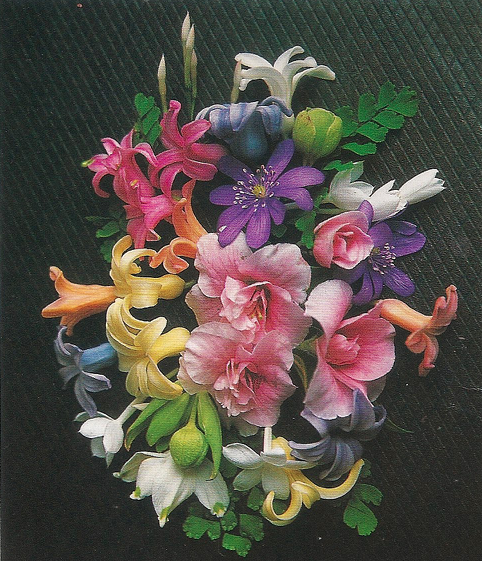 Bouquet still-lives by Valerie Finnis. That´s the botanist risky life…. Fuschia gladioli you mean ? loved it. love seeing the fucsia orchids in Lady Birley ‘s garden which grow all over the countryside in the South of Spain. I remember Mary Randolph and Russel Page going all the way to CAbo de San Vicente to findsome sort of sistus they had to have and also going all the way to the south of France to pick up some “claire de lune” mimosas they could not live without. I also remember the nice boxes of chocolate he brought fron Switzerland each time he came to visit… such a treat in those days! !